In this interactive session, we will understand why digital publishers should integrate DoubleClick For Publishers (DFP) with their Google Analytics 360 and unfold multiple aspects of audience sharing and revenue optimization. Our Data Science head, Bismayy will take you and your team through how digital publishers can use custom implementations in Google Analytics 360 to segment audiences based on their reading behavior, content classification, affinity and acquisition sources, etc. Media sales team: They can broker higher eCPM/ CPD deals with advertisers on account of this premium audience. DFP Analysts: Your team of DFP Analysts can use these audiences for an increased targeting efficiency at a higher eCPM for their advertiser campaigns and as a result, improve the CTR. Your DFP Analysts can also report ROIs of paid publisher campaigns by merging DFP revenue data with GA audience acquisition data. They can find which pages/ authors are generating better revenue and which content to promote on paid channels. 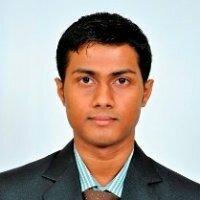 Bismayy leads Data Science Team at Tatvic. He has developed Badger, an intelligent insights generation engine powered by Machine Learning. He is working with team to develop PredictN, an automated prediction SaaS platform for businesses to boost their marketing RoI. He applies R, Python, Cloud Prediction models to help clients make sense of their digital analytics data. He loves playing and following football.